From Honoapiilani Highway look for Honua Kai Resort & Spa accessed from Kai Malina Parkway. 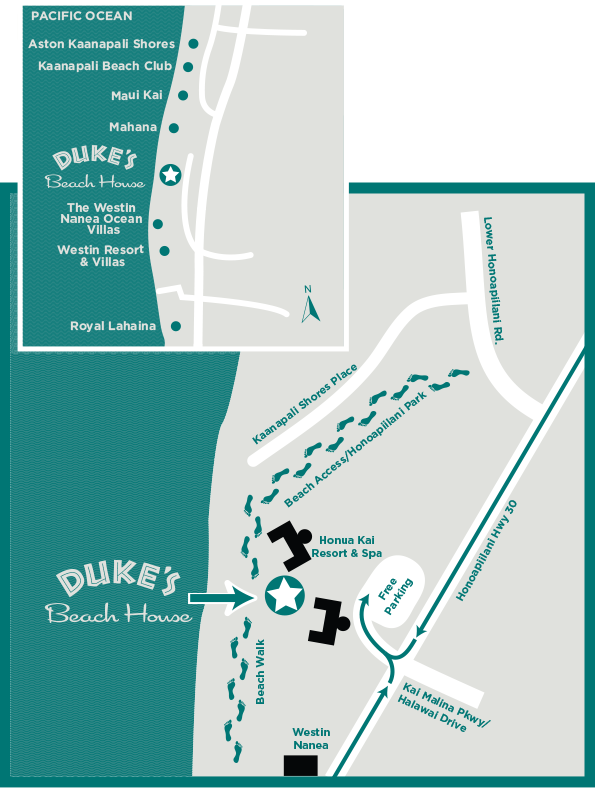 From either tower walk toward the beach to Duke’s. Feel free to ask the front desk or concierge to direct you.